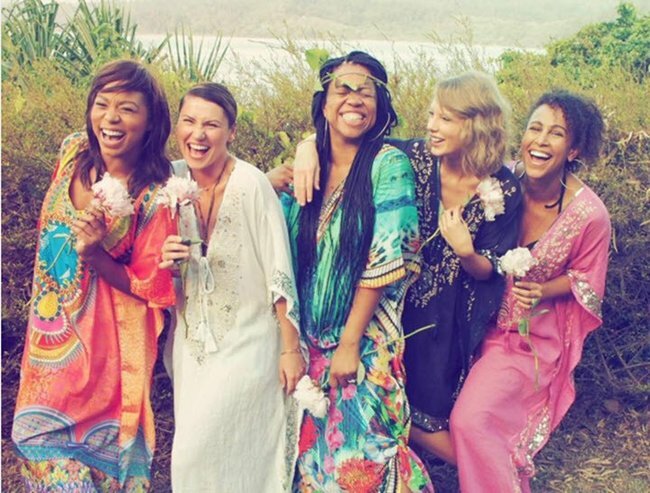 Taylor Swift in Australia: kangaroos, koalas and kaftans. If she wasn’t Taylor Swift, she’d be just your average backpacker, cuddling a chlamydia-free koala. In case you missed it (i.e. you are comatose; in a self-imposed media blackout; or Amish), Taylor Swift has been in Australia. In fact, she’s still in Australia — she’s due to perform in Adelaide tonight. And she’s been making the most of it. Not for Swift to stay in her hotel room and imperiously eschew the local flavour. She’s been enjoying her trip to our great southern land just like any other 20-something would. 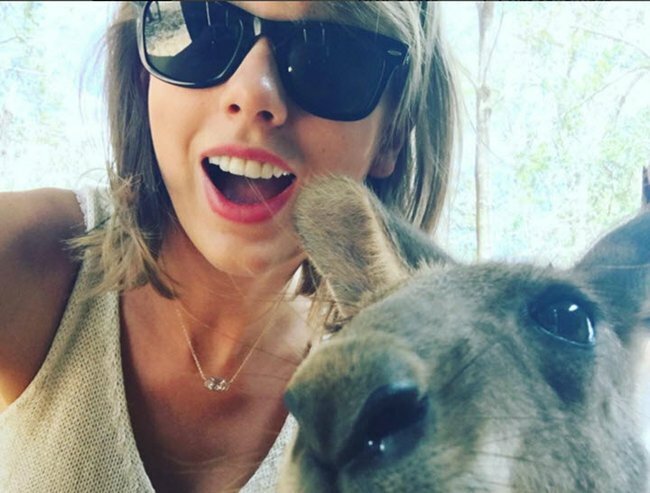 Swift meets a kangaroo. This is the number one tourist thing to do in Australia, probably. Image via Instagram. Well, maybe not just like any other 20-something, but Taylor Swift’s Instagram looks a lot like your standard tourist’s. 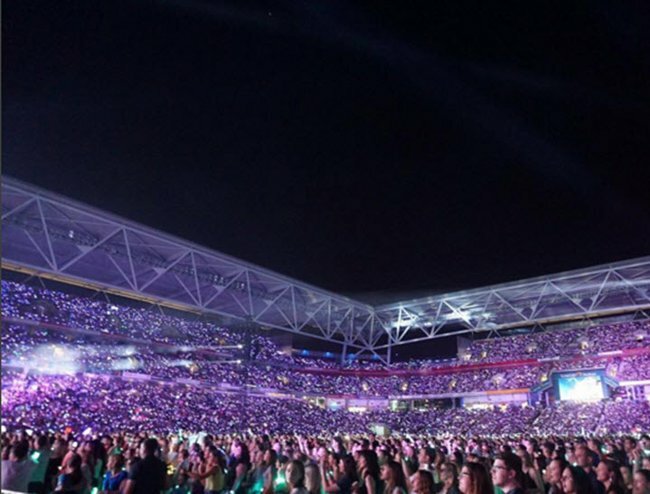 Here’s Taylor Swift performing in Sydney… just like any normal girl! Post continues after video. Kangaroo? Check. Koala? Check. The only thing she’s missing is a beach selfie, complete with sun-burnt British backpackers and a fresh sack of goon. Beachside, with friends, and attired like a local, but NO GOON. This is not right. Image via Instagram. If you didn’t know that all the people who feature in her photos are technically her employees, you could be forgiven for thinking that Swift’s hanging out with a bunch of new mates she made at the youth hostel. 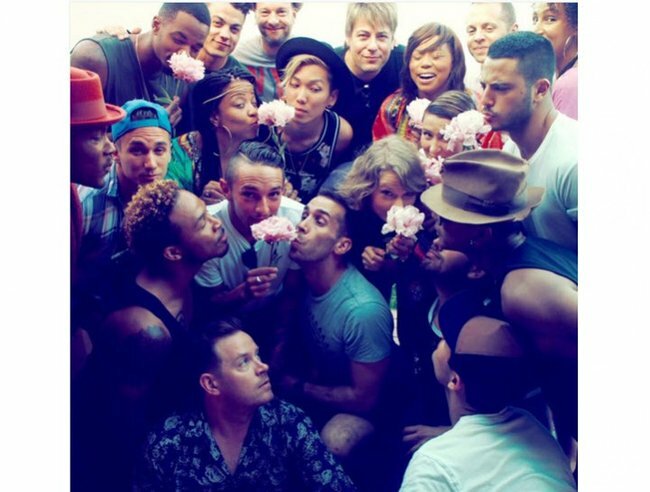 These dancers are technically Swift’s employees, but they’re still having a really great time together. Image via Instagram. Look at her living it up with her travelling pal! OK, that’s actually Blake Lively. They hit the Gold Coast’s theme parks yesterday and according to my girl Swift, enjoyed many a LOL. Lively was also seen attending Swift’s Brisbane concert, trying to go incognito in a white baseball cap. This could be any twenty-something girls hanging out on hols in Australia. Except it’s Taylor Swift and Blake Lively and their leg length combined could encircle the planet twice. Image via Instagram. And here she is meeting a koala. 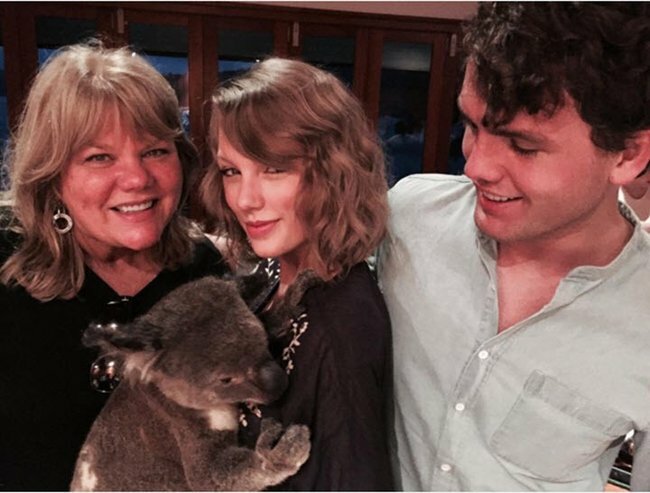 Taylor Swift with her mother, brother, and a koala called Willie. Image via Instagram. I mean, yes, the Australian Wildlife Conservation Fund probably did shut down for Swift’s private tour, and yes, they did thoughtfully provide her with a koala that’s not suffering from chlamydia, but still. It’s a fairly standard tourist activity, no? 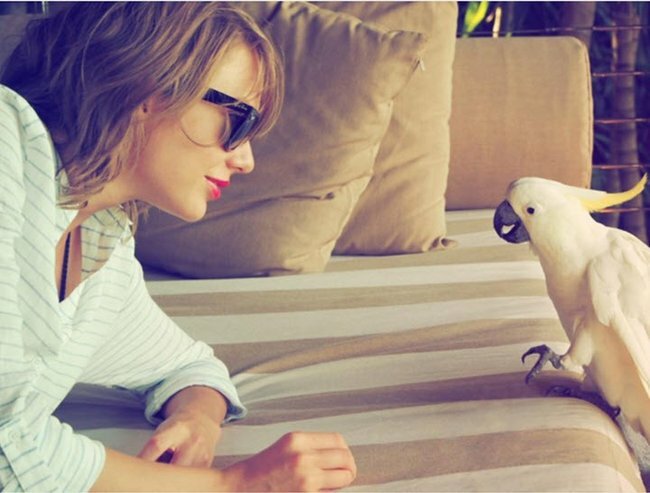 Taylor Swift also made time for the screechiest, sweariest bird in all the land, the cockatoo. My great aunt had one called Cocko and he had a real potty mouth. I hope Taylor’s bird was less profane. This bird is probably about to say something really rude. Image via Instagram. And then there’s this… Image via Instagram. Still, perusing Taylor Swift’s Instagram account has really made me like her. She seems like a lot of fun. So Taylor, if you’re reading this and you want to know what goon is, get in touch.